When planning a trip for the coming summer, we opted for the country of sea and sun, castles and vineyards, bulls and toreros, sangria and paella — Spain. Its long and rich history is rooted much in the second millennium BC. It is believed that the country received its name because of the Phoenician "e span" which translates as "Beach of damans. "For those who do not know, the daman — a herbivorous mammals the size of a cat that can deftly move on the steep rocks and trunks of trees, resembling large guinea pigs but are phylogenetically closest relatives of modern elephants. Is the first explorers saw on the banks of these or other animals are now not known for certain, but the name stuck. Spain is one of the largest countries in Europe, the owner of Madrid — one of the most beautiful capitals in the world, Barcelona — the birthplace of the automobile brand SEAT, Seville — a source of inspiration of poets and artists, Valencia — the guardian of the Holy Grail, and Granada — the pearl of the Moorish era.There were born such people as Antonio Gaudi, Diego Velázquez, Miguel de Cervantes, Salvador Dali, Francisco Goya, Pablo Picasso, Montserrat Caballe, Pedro Almodovar, Penelope Cruz, Fernando Alonso and Raul Gonzalez.Among other things, the Spanish coast has more than two thousand beaches, and it is located Baetic System — the second largest mountain system in Europe after the Alps. Having the desire to grasp the immensity and see as much as possible, we must first take care of the comfort of our own movement. 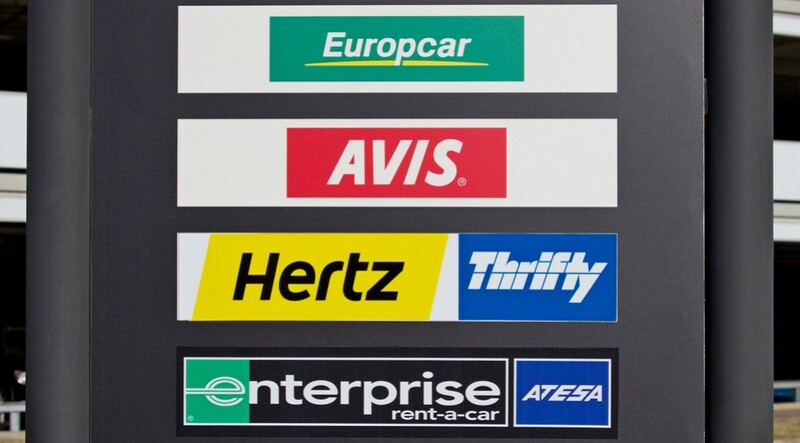 Spain — a large and modern country with a well-developed tourism industry.There is a wide variety of car rental companies: Sixt, Avis, Hertz, Enterprise, Europcar, Goldcar, Centauro, Record Go, Pepecar, Solmar, etc. Their services can vary considerably in price and range of options, and quality of services provided. Stopped the choice on one of them, be not too lazy — look for reviews from other customers of the company to protect itself maximally from negative moments during the upcoming trip. 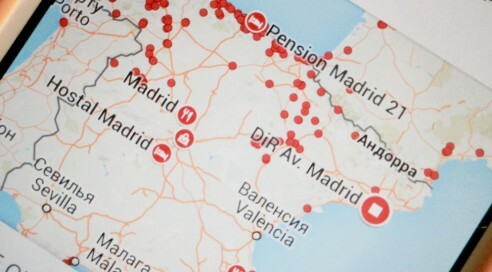 As a rule, prices at the famous brands higher, while very modest company, attracting attention with its attractive price list, can hide the "pitfalls".After a little market research, we chose the "middle ground" — a local Spanish brand with a long history and decent reviews, which has developed its own network of offices across the country. Of course, booking the car on the tourist season is better deal in advance. This will allow you to choose from the complete park and not be content with a few free cars. Typically, the most convenient for traveling machines rented first. Before you begin booking a car, you must consider a few details. Firstly, it is important to know that for car rental in Spain, the driver must be at least 21 years.Some distributors raise the bar to 23 years. Young drivers up to 25 years will have to pay an additional "age gathering." Sometimes, a similar story could happen with clients over 75 years. Another important aspect that should be taken into consideration is the type of requireddriver's license. Some companies will not give you to book a car without the presence of the driver's license of international standard, or may have certain additional requirements for the Russian documents.Moreover, the domestic driver's license is necessary to have anyway. Familiar with the rules of the selected company is necessary in advance. Traveling with children also requires the additional costs — pay attention to the order of the child seat. Its rent also stipulates in the step of booking a car. You can try to order in the place but there is always the risk that the available seats for this moment will not appear. Type of seat depends on age, height and weight of the child.Some companies offer it for freebut mostly the cost of the weekly rental is the amount for which you can buy it in the property, for example, in the hypermarket network «Alcampo». Also in preparation for booking a car is necessary at least roughly to submit your own plans for the upcoming trip. This is necessary for several reasons. For example, some companies are being prescribed in the conditions of the lease "limited run".It may be significant, and for exceeding the limit have to pay extra. Among other things, if you plan to leave the country, you must know whether it is not prohibited by the rules of rental companies.If travel is possible, then there may be restrictions on certain countries. And, most likely, for the right exit you will have to fork out extra. Another item of expenditure may be the use of toll roads. As a rule, they can be avoided, but immediately find your way in an unfamiliar area is not always possible.Taking into account all of the above, you can finally take up the selection of the company and the car. It is worth considering that the price can vary depending on the location of the receiving office the car. Sometimes the same company the rental price in point at the airport is lower than it is in the city's central office. After you have defined the search parameters, designated place of receipt the car and the terms its exploitation, it is necessary to determine the place of its return. Some networks allow you to leave your car, even outside of Spain. But such extra option is always costs the money. Often, the amount could reach several hundred euros and exceed the basic rental price. After selecting the brand and model of a vehicle or a group of similar cars, you can add to the basic package more options. For example, various options for the insurance, co-payment for the second driver, express check-in, additional insurance to travel to the neighboring countries of the European Union, rent GPS-navigator or chains for driving in snow during a trip to the mountains and so on. Do not forget about insurance! Special attention should be paid with insurance. Here, of course, have to carefully read the conditions of the chosen company. Somewhere in the base price may already be laid minimum insurance, but somewhere not require a deposit (and your card will not be frozen, a certain amount of "bail"). Our experience has shown that in Spain, the ideal option would be to purchase full insurance "against all risks". Not only because "so is quieter" manner of driving and quality of Spanish roads are commendable. But even here there are exceptions. Thus, in the cities you can be faced with intentional hacking machine with a commonplace for profit. To maximize prevent such a possibility; do not leave personal items in the cabin. To attract the attention of thieves is able even the bright beach towel. Car antenna from the roof is better remove independently without waiting it will make someone else for you. In addition, Spain is a country of parking and tow trucks. Find a place even on a paid parking can often be a daunting task. Local seasoned drivers parked cars "bumper to bumper", pushing its neighbors — is not considered shameful, and has become the norm.But perhaps that scratched the bumper can cause claims from the rental company. Among other things, full insurance often accounts for roadside assistance in the event of vehicle breakdown. Towing services and replace the machines can be included in the cost.Those who, despite all the warnings, neglect insurance coverage, carefully inspect the car is necessary at the time of its receipt. All it should work fine, but the slightest damage should be immediately reported here to representative of the company that issued you the keys.Do not forget to check availability of radio antenna, mats and all necessary accessories (with reflector vest, warning triangle, etc.). We get the car — and go! Often, the total final price specified on the basis of prepaid online, and if you choose the option of payment in the place it is likely that the final figure will grow by about 10%. To the general account can automatically add an additional non-refundable service fee.On average, it could be around 25 euros. Some companies do not charge it with a full tank of fuel prepayment, but usually the price is not included in the rental price. Collection you will be asked to pay the moment of receiving the vehicle. Different companies leads different fuel policies: some prefer the system of "full — full" when you have taken a car with a full tank, and undertake to return with that. Others choose the scheme "full — empty". In this case, in the interests of the client to spend as much fuel, because the money for the rest of the fuel (unless otherwise specified additional conditions) will not be returned. Consider the time of receipt of the car. If you plan to take it to the airport and your flight arrives late at night, you should know that not all offices are open around the clock, and for the night work may also accrued a certain amount.In the case of a flight delay makes sense to notify the company. You should know that some distributors have their own parking space directly at the airport, and some do not. In this case, you are likely to be offered a way to get to the parking of your "iron horse". At the moment of registration of documents for the rental, you must have a passport, driver's license and the required type of bank card. 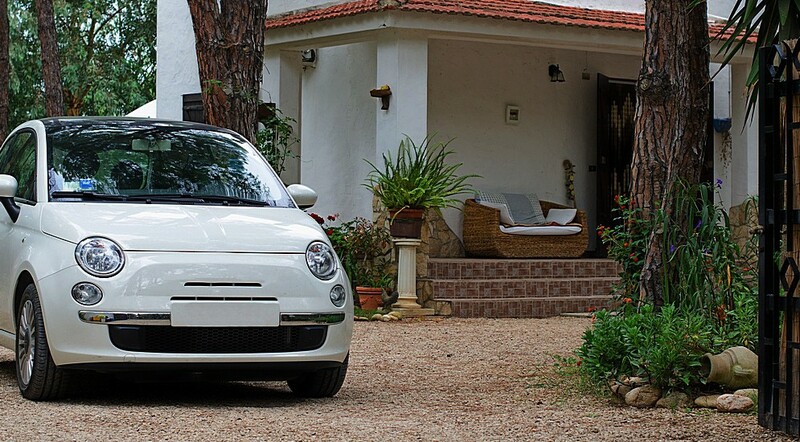 If you paid the rent in advance, the moment of receiving the car it is necessary to provide exactly that card. Debit cards are accepted not all companies.In the case of accident or a fine for violation of traffic rules your account will be debited an additional fee for administrative procedures. It can vary between 30-50 euros, but remember: its payment does not imply redemption of the fine but merely redirects it directly to you. Some companies control refuels a rented car. We recommend that you keep all receipts from gas stations until the return of the car. Terms of hire and insurance, and fuel prices may be changed without notice, so keep finger on the pulse, and your journey will develop as well as possible!